'Well, hello, cute gentleman in a top hat. Let me greet you at the door in my shawl. You see, I've been working on a coat for the past 4 years . . . "
One of my other favorite things in sewing – besides procrastination sewing, of course! – is working on projects for years and years. I mean, sure you can sew something in one sitting, but it’s way more fun to sew it in spurts, throwing it in a bag in the closet when you get bored or tired or frustrated by it. 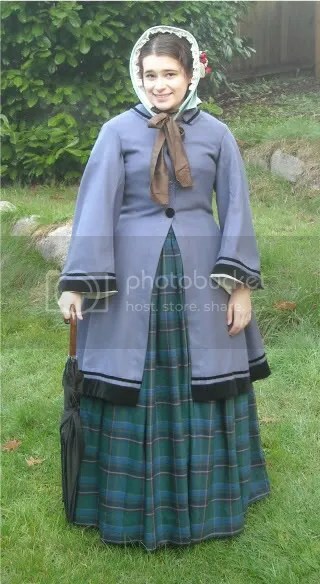 Enter my 1850s wool coat, which has been in various incarnations since 2007. The backstory on this is that it gets cold here in the Pacific Northwest during our fall and winter reenactments, and while shawls have worked, I wanted something a bit more warm. Plus, I just love a classy coat. Winter is one of my favorite seasons because of all the cute peacoats I can wear. Originally, I was going to make this out of a medium weight tropical wool, but that was a bit too light. Luckily I was gifted this fabulous purple coating wool (I *think* it’s a melton, but I’m not entirely sure about that) to make the coat with, and I got incredibly inspired to do so after watching North and South for the millionth time with my mother (okay, so the hope of having my own Mr. Thornton to follow me around in a chilly Northern English mill town while I doted on his poor factory workers and upheld Victorian morals was also a huge motivating factor, too) and seeing Margaret’s quite lovely purple wool coat. 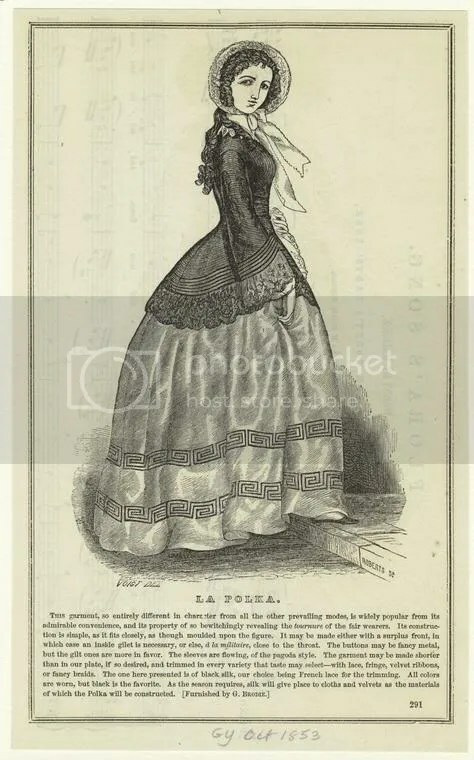 However, I knew that I wanted to have oodles of velvet trim like any proper 1850s lady would, and so the “inspired by Margaret Hale” 1850s wool coat was born. And, after 4 years of working on it (2 years of planning and drafting and mocking the pattern and 2 years of hand-quilting the lining and cutting the coat and sewing the pieces together and applying the trim), I finished the coat in time for Saturday’s reenactment! Doing my best Margaret Hale confused and dazed look, complete with a rabbit fur muff! The wider velevet trim is fabric, and the narrower trim is ribbon. 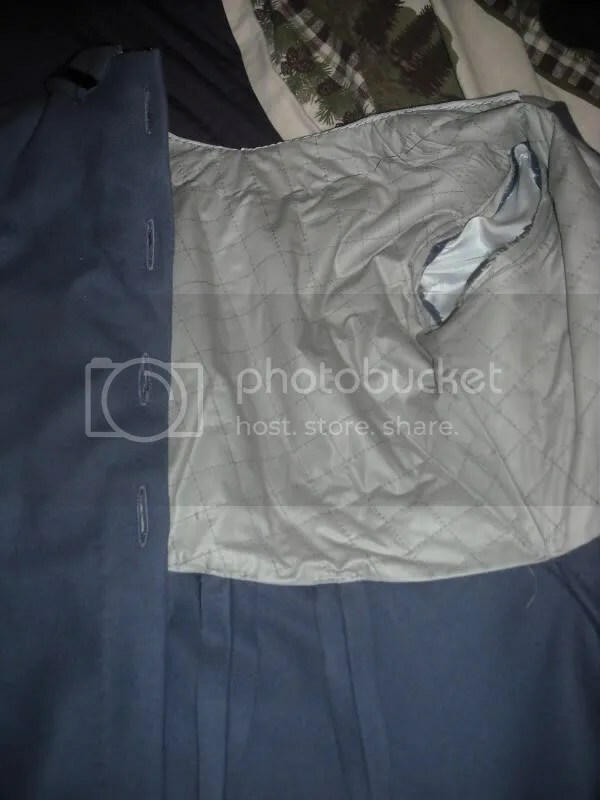 The upper-bodice part of the coat is lined with a hand-quilted lining of batting and polished cotton, and the sleeves are lined with silk twill. Oh, and the reenactment? Fabulous! I spent time chatting and catching up with reenacting friends, teaching visitors (and tons of cute kids!) 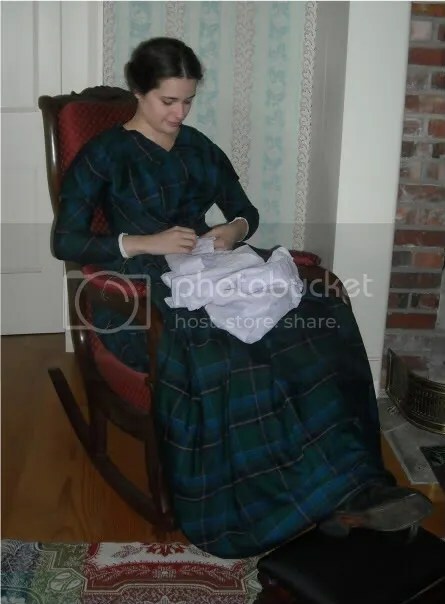 calligraphy, and sewing in the parlor. It was a lovely day and I’m so looking forward to the Christmas reenactment next month! Previous Post The Rachel Berry Halloween Dress! Your coat is lovely. Plus your bonnet! Post more pictures, I want to see it. Gorgeous gorgeous gorgeous gorgeous and I love the concept of working on the coat for four years. Did you make the muff yourself? 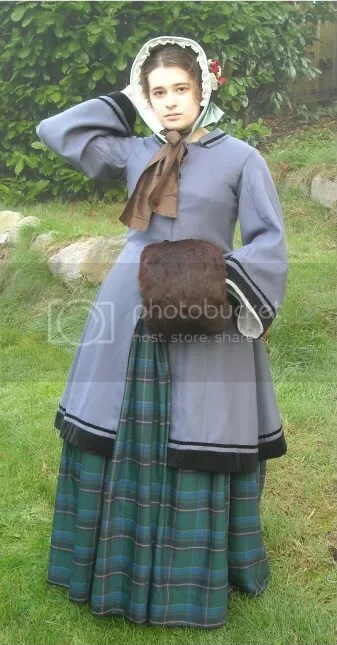 I do historical reenactment where I live and I’m looking to make one out of an old fur coat. Just wondering if you have any suggestions for patterns or tips on making them. Good luck on your muff!